1Department of Pharmacotherapy, School of Pharmacy, Shahid Beheshti University of Medical Sciences, Tehran, Iran. 2School of Pharmacy, Shahid Beheshti University of Medical Sciences, Tehran, Iran. 3Department of Radiotherapy, Shohada-e-TajrishHospital, Shahid Beheshti University of Medical Sciences, Tehran, Iran. 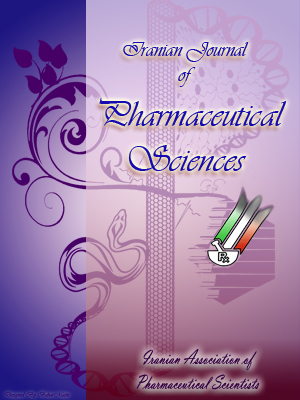 4Department of Pharmaceutics, School of Pharmacy, Shahid Beheshti University of Medical Sciences, Tehran, Iran. Radiotherapy, a highly effective way to destroy breast cancer, causes skin adverse effects. A considerable amount of studies have been conducted to find a way to alleviate or relieve dermal adverse effects of radiation. The aim of this study was to observe the clinical effect of Elaeagnus angustifolia L. cream to treat radiotherapy-induced skin destruction in breast cancer patients. thirty two patients suffering from different stages of radiotherapy-induced skin reactions were evaluated in a double-blind randomized study; 16 patients in the treatment group received Elaeagnus angustifolia cream, while the other 16 patients, served as control group. Two weeks after the treatment, patients in Elaeagnus angustifolia group showed significantly lower skin reaction grade compared with placebo group. The attitude of the patients of Elaeagnus angustifolia group about dryness, itching, pain, burning, blisters and sores was significantly improved after two weeks of treatment. Elaeagnus angustifolia cream may effectively reduce the radiotherapy-induced dermal injury.